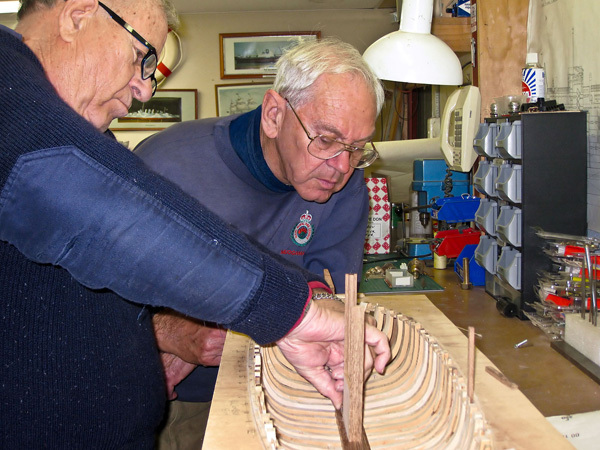 The Canberra Model Shipwrights Society (CMSS) was established in Canberra, in the Australian Capital Territory, on 21 April 1988. It has the objectives of fostering and maintaining interest in building and constructing scale model ships, boats and associated fittings, gear, equipment, armaments and relevant items and structures and the pursuit of excellence in this field. There are more details about the CMSS and our activities on the About CMSS page.